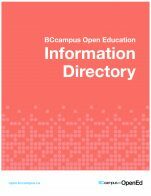 The BCcampus Open Education Self-Publishing Guide is a reference for individuals or groups wanting to write and self-publish an open textbook.This guide provides details on the preparation, planning, writing, publication, and maintenance of an open textbook. 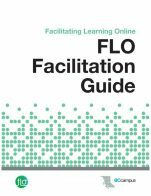 Copyright, open-copyright licences, and the differences between citation and attribution are discussed as well as the importance of copy editing and proofreading. Checklists and templates are also provided. 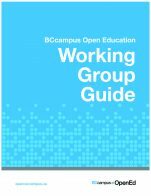 This guide replaces the BCcampus Open Education Authoring Guide. 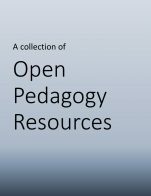 This cover is by BCcampus and is available under a CC BY 4.0 International License (https://creativecommons.org/licenses/by/4.0/). 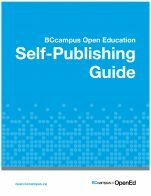 Self-Publishing Guide by Lauri Aesoph, BCcampus is licensed under a Creative Commons Attribution 4.0 International License, except where otherwise noted.